Westair Aviation offers a wide range of both scheduled and unscheduled air cargo solutions. Westair Aviation has been operating a dedicated schedule cargo service to DHL over the past 20 years and has maintained an impressive dispatch reliability record over this period. In addition to its dedicated aviation support to the cargo industry, Westair Aviation also supports the mining sector in transferring high-value cargo across Africa. Westair has more than 15 years’ experience flying a wide range of surveys across not only Namibia, but the entire African continent. Having conducted surveys successfully in more than 15 African countries, Westair Aviation specialises in providing aircraft, crew and maintenance back-up for aerial survey operations. We operate specially modified aircraft that are capable of carrying the required equipment for a wide range of aerial survey operations. In addition to several geophysical surveys, Westair Aviation has conducted aerial patrols to inspect and control illegal fishing operations off the Angolan coastline and has been involved in several anti–poaching patrols across Southern Africa. Westair Aviation offers fixed-wing support to the offshore mining and the oil and gas industries. 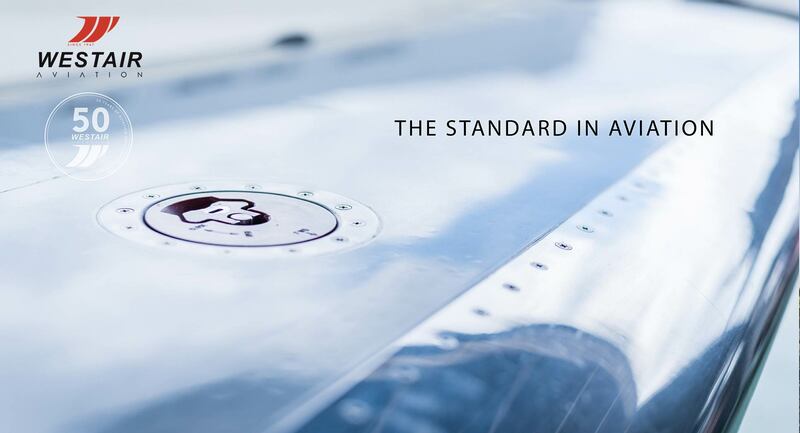 Westair Aviation is the first aviation company in Namibia to achieve the BARS Gold safety standards as proof of its dedication and commitment to offer aviation services of the highest safety standards to the resource sector. Westair Aviation operates Embraer ERJ 145, Beechcraft King Air 350 and various other jet and turboprop aircraft in support of offshore mining and exploration operations. We have the capability to offer tailored fixed-wing aviation support to mining companies across the African continent. Westair Aviation is currently the most experienced air ambulance and medical evacuation service provider in Namibia. Westair Aviation, in co-operation with EMed Rescue 24, offers 3 aircraft on 24-hour medical standby for immediate response. For the past 10 years Westair Aviation has successfully provided safe and reliable aviation support consisting of aircraft and pilots that are on 24-hour standby to respond to any medical emergency in Namibia and the rest of Southern Africa. Westair Aviation offers fleet management and operational support services to clients anywhere in Africa. Assisting with maintenance tracking, flight clearances, crew and aircraft management, Westair Aviation is able to assist companies to get the most efficient and cost-effective utilisation of their aviation assets. Westair Aviation, through its sister company Signa Aviation Services, offers a wide range of aviation training services. Visit Signa Aviation Services (www.signaaviation.com) for more details.